2013 Volkswagen Golf 5-Dr Wolfsburg Edition 2.0 TDI Won't Last Long -- Hurry in Today!!! Under 51,000kms EXTREMELY LOW MILEAGE FOR A DIESEL VEHICLE!!! This model comes with various options such as:, Keyless Entry with Heated Seats, Power Locks and Windows and more! Our 112 point inspection on this vehicle included replacing the front and back wiper blades, a 60k oil change, filter replacement and new battery. Incredibly well maintained by previous owner. Financing available at 3.99% over 60 months. Volkswagen of Windsor is committed to providing the highest levels of customer service through our unsurpassed knowledge of the Volkswagen vehicles that we sell and service. We are very committed to building relationships with our customers and for them to become a part of our Volkswagen family where we treat you like a friend and family member, not a number! Did you know that we take ANYTHING in on TRADE? 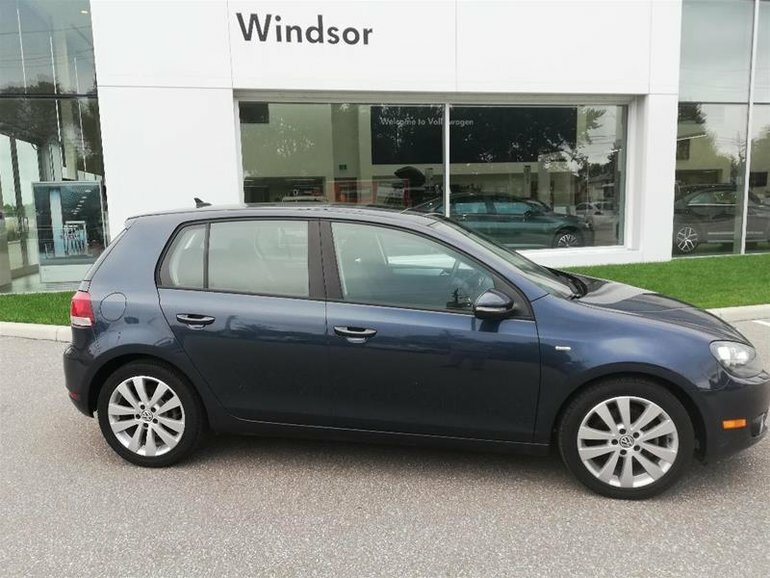 Interested by the 2013 Volkswagen Golf 5-Dr Wolfsburg Edition 2.0 TDI DSG at w/ Tip ?